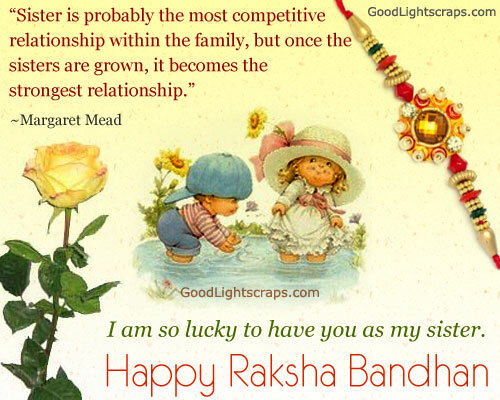 Rakhi or Raksha Bandhan (bond of protection) is an auspicious occasion to celebrate the unifying bond of love, care, respect and duty between brothers and sisters. 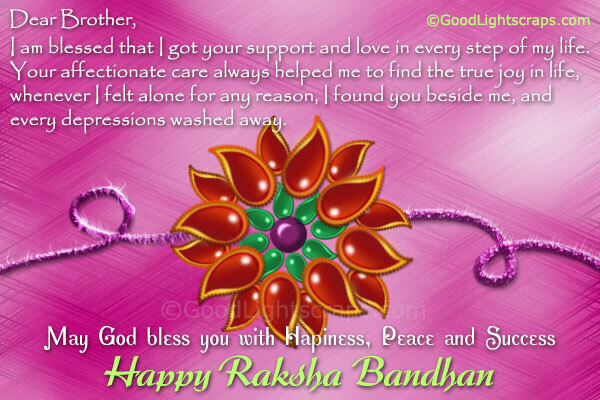 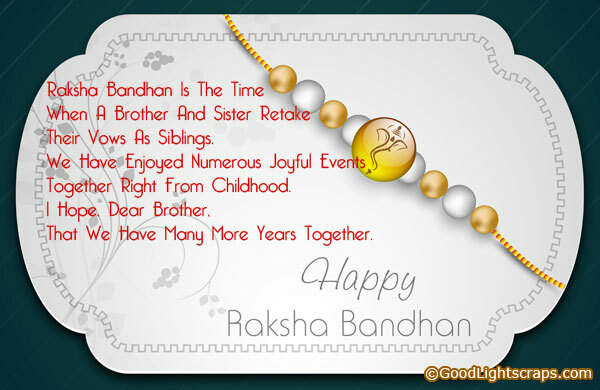 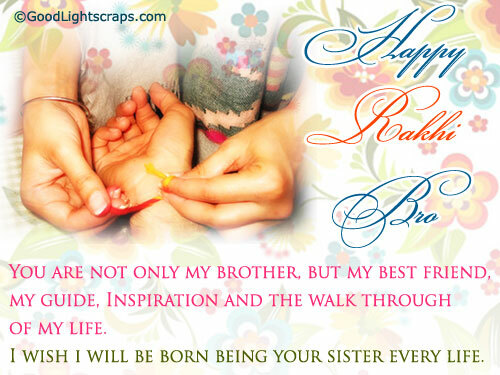 Rakhi Bandhan or Raksha Bandhan festival enhances a form of morality, security and amity. 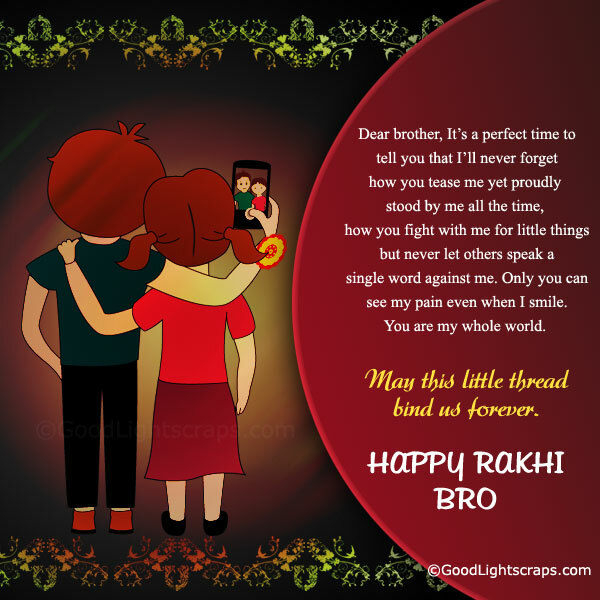 The tradition started with the tying of a thread, but now raksha bandhan encompasses exchange of gifts, sending Images with raksha bandhan quotes, and messages, Rakhi e-cards, Greetings in myspace, hi5, tagged, friendster and email messages from all across the world. 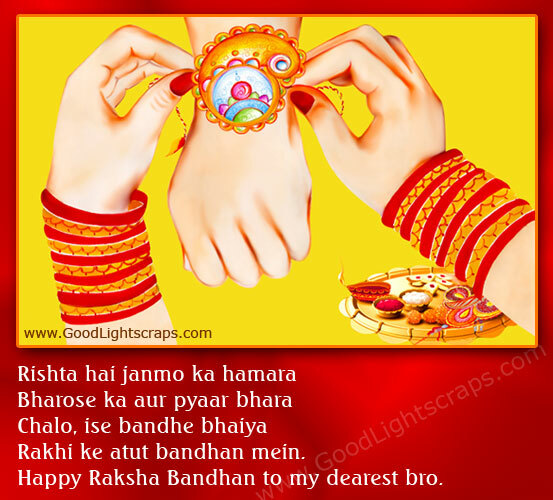 Here you will find lots of rakhi scraps, rakhi comments, raksha bandhan graphics, raksha bandhan greetings & wishes, rakhi pictures gifts to send your brother and sisters via social networking sites to wish them the blessings of Raksha Bandhan. 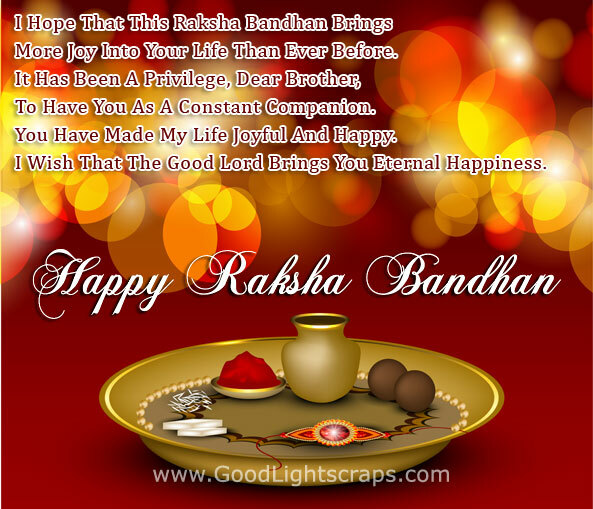 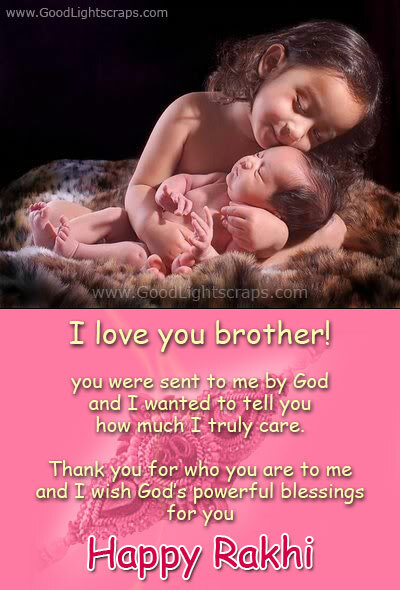 You may also like Rakhi Sms & text messages. 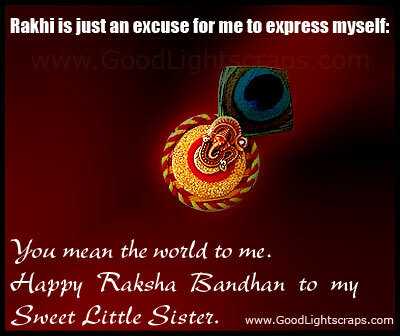 More raksha bandhan scraps, rakhi Greetings and Ecards, raksha bandhan quotes, rakhi graphics and images for orkut, myspace, etc.